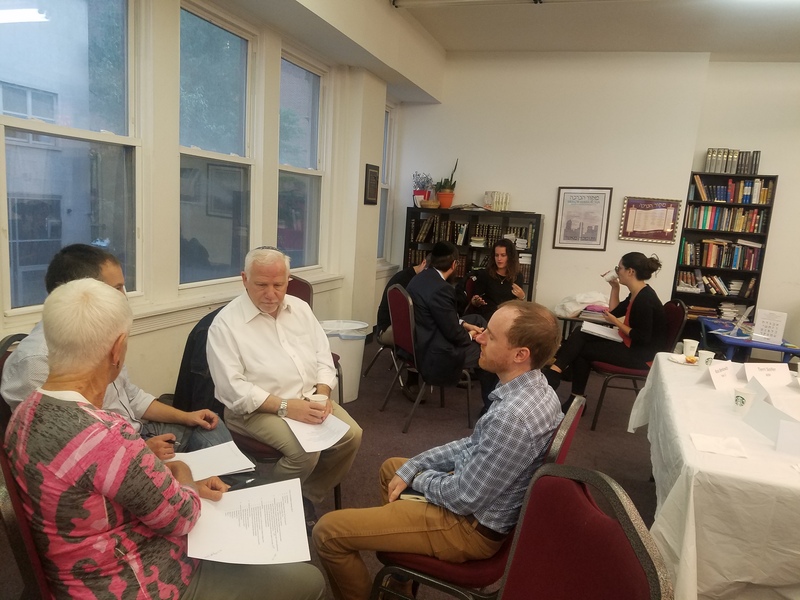 The Center City Kehillah’s first general meeting of the year took place this morning, hosted by Makom Community and Mekor Habracha. We welcomed our diverse group of representatives and dove right into planning for the year! Good morning! I would like to welcome you this morning, not just as a member of Mekor Habracha, but as the new co-chair of the Kehillah. Rabbi Lord Jonathan Sacks, in a commentary on Ki Tavo, suggests that the great questions: “Who are we? Why are we here?What is our task? – are best answered by telling a story. And isn’t that what we as a people are based on – The Torah, which is our story. It is in Ki Tavo that God instructs, “It will be, on the day that you cross the Jordan to the land that God is giving you, that you shall set up for yourself huge stones, and plaster them with lime, and You shall write upon the stones all the words of this Torah.” It is important to write the words to tell the story. We also are given instructions for worship and are instructed to care for the sick, the elderly, and the orphan. Caring for others is as important as worship, and the roots of almost all of our missions can be found in this Parsha. But above all else we are told to remember the story. The story is at heart of it all, and to quote Rabbi Sacks, “By making the Israelites a nation of storytellers, Moshe helped turn them into a people bound by collective responsibility – to one another, to the past and future. By framing a narrative that successive generations would make their own and teach to their children, Moses turned Jews into a nation of leaders.” As the incoming co-chair, I wanted thank each one of you for stepping up and being a leader. Collectively we complete our tasks by answering the questions of who we are and why we are here.